Hatching a clutch, or group, of eggs can easily be done under a broody hen. 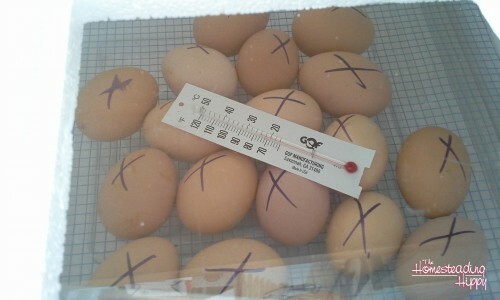 She will rotate the eggs, keep them at the right temperature and take care of the chicks when they hatch. All without any interference from you. Of course, you will need a rooster to do this, as the eggs need to be fertile and you need a broody hen. But, what if you have neither and want to hatch eggs yourself vs. buying chicks? Well, you can use an incubator! My friend Janet at Timber Creek Farm had some fertile eggs she wanted me to test out. Being that we wanted some new chicks, of course I said “Yes” and had her ship me some right away! They came in the mail, and I was so excited that this was a package my son DIDN’T drop on his way home from the post office! 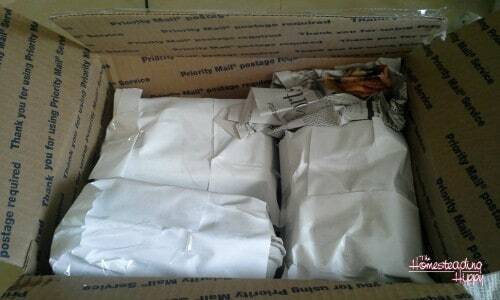 They were really well packaged and put together. Janet really spent some time caring about how she was shipping them. 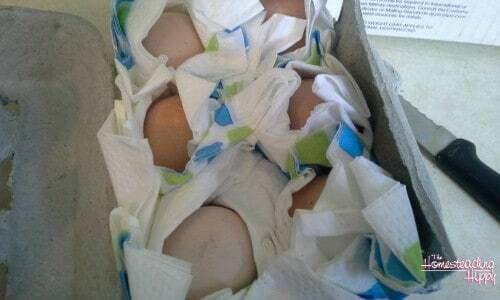 Of course, each egg was so well wrapped, that they weren’t even cold when they arrived! Even in our cold Indiana winter, they were still room temperature! That was only because of the great care taken in shipping, I am sure. So, they were unwrapped and put into my Hovabater incubator. This whole hatching eggs in an incubator is new to me, and I was really happy to try this out. 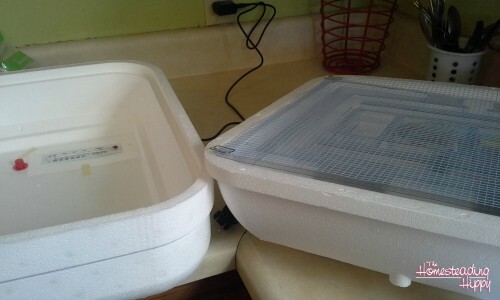 The incubator itself was easy to put together. It only required me adding the thermometer adjuster and the fan. Both went in easily, within minutes. I marked the eggs with an “x” on one side, so I could keep track of which side they are on. They have to be manually turned 3 times a day, so “x” up once, down the next, and up at the last turn. 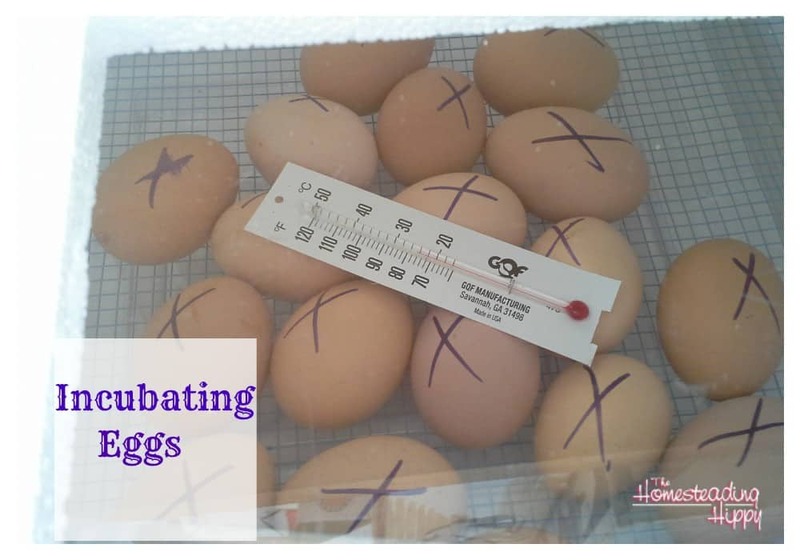 The incubator is made of strong styrofoam that has a water chamber to keep the moisture at a perfect level and the lid is easy to take off and hold while turning eggs. An automatic turner comes separately, and I think that I will invest in one next time. 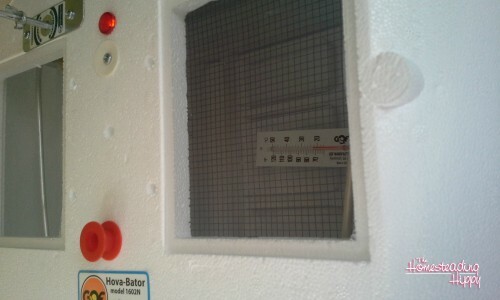 It has two windows on the top to keep an eye on the temps inside, as well as watch for chicks breaking out. It really seems to hold the temps at 100° without any effort. It needs to stay in a non drafty area to do so, but that shouldn’t be hard for most to find somewhere in their house. I am so excited that we are going to have new chicks around April 3!! Stay tuned to see how they go! I can’t wait to see how this turns out! 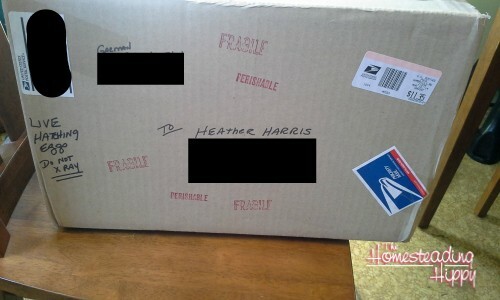 And wow, I had no idea you could even send eggs like that in the mail. How cool! I Envy You Wish I Had A Simple Life (Atmosphere Like) Like This !! Love It!! Cute fluffy chicks! It’s a shame they have to grow up into chickens. What will you do with them when they get bigger (and not so cute and fluffy)? Our preschool does this! It is so fun for the kids! SO cool! I cannot wait to see when the eggs hatch! That is so cool! I would love to have my own mini chicken coop for fresh eggs in my backyard! Looking forward to seeing your chicks. Also love your “yada yada” disclosure. Both my kids did this in Kindergarten and LOVED it! How fun! We would love to do something like this! Maybe soon! I am excitedly watching the progress of our eggs. I think it is quite amazing that they all reached your house in perfect conditions. I wish I could have chickens, but our city doesn’t allow it. Great instruction on hatching them, this is the method my family used when we lived on an acreage.